These RTO training materials are available for delivery as-is now and are undergoing further quality updates and improvements that will be supplied to all current clients. This is an amazing opportunity to acquire quality RTO materials for hard to find and highly sought after RTO training resources in the TLI training package. Enquire now for more information about this catalogue of vocational training resources. Simply fill out the form to receive for more information, pricing and samples of the TLI21815 training materials! Get sought after RTO resources for the TLI21815 Certificate II in Logistics unit here! This RTO training materials package was designed and tested by a major RTO in real life training and assessment and is now being made available to Australian and International training institutes. This RTO training resource package will enable to you deliver and assess training for the unit TLI21815 Certificate II in Logistics qualification. We are also able to supply individual units of competency out of this package of RTO materials, so please let us know which resources you’re looking for and we’ll be happy to help. Assessment Tools – written to the unit requirements and tested in training. Our publishing partner, TotalVET Training Resources, has recently acquired this catalogue from a well-known RTO and is in the process of enhancing the training materials. These resources are available for purchase and delivery “as-is” for a heavily discounted price so you can get started now, with a free update to the fully updated, validated and rectified tool once it’s complete. The TLI21815 resources supplied “as-is” may require some minor updates, editing and will need to be rebranded. Once updates have been completed, the cost of this catalogue will increase significantly, so get in early to save! This is a unique opportunity to get hard-to-find TLI training and assessment resources for a fraction of their true value. Shortcut your time to market by months or years compared to starting development from scratch, and potentially save tens or hundreds of thousands of dollars at the same time! This means you can submit additions to scope and launch courses faster, and start delivering training and generating revenue sooner. Please note we are currently indexing all the RTO materials available in this catalogue to provide the most correct information to our clients. Please contact us today for an up to date list of the specific files included in this TLI21815 course materials package. For more information about the TLI21815 Certificate II in Logistics qualification, including currency, course outcomes, elements and performance criteria, performance evidence, knowledge evidence, and assessment conditions, check the official training.gov.au page here – TLI21815 Certificate II in Logistics. These TLI21815 RTO resources have been designed to be used in blended training delivery, including some face to face instruction and self-paced learning by the student at home. The TLI21815 RTO materials can be adapted to suit a wide range of training delivery styles to suit your training organisation’s needs. The training materials are typically in unlocked, editable format and you are free to customise and contextualise the materials to suit industry needs and your delivery style. Note these assessment tools do not include a fully simulated assessment pathway and would require additional contextualisation by the RTO to deliver fully simulated training and assessment. Practical observations or third-party verification are included for most units of competency as part of the RTO assessment tools. Most RTO training materials from this publisher are supplied with Learner Guides, or PowerPoints and other educational supplements that take the place of Learner Guides. In most cases, this means you will have a self-contained training resource that does not require third-party textbooks for your students to complete their training. Of course you are also free to supplement the learning materials with additional texts and readings to assist your students to complete the TLI21815 course. Please contact us for more information about your selected RTO resources and the specific inclusions in this package. Most units of competency from this catalogue include PowerPoint slides to support your classroom or webinar based training delivery. These TLI21815 PowerPoints may also be distributed to your students as a supplementary training resource in print or digital format. These PowerPoints are editable so you may adjust the slides to suit your training delivery. Most units in the TLI21815 materials package are supplied with session plans for blended delivery of the unit. This means you can see how this RTO resource has been used in classroom-based plus self-study training delivery and gives you a starting point to develop your own unique training delivery style. You will receive a mapping document with your TLI21815 Certificate II in Logistics RTO training materials. Your mapping document is a valuable tool to help you conduct validation as part of your ongoing obligations as a Registered Training Organisation. This is also important at audit to assist you to find and show your auditor where competencies are assessed in the training materials. Many units of competency from this catalogue include other supporting materials such as forms, templates and extra readings to support your training and assessment delivery. The TLI21815 learning resources come in a unit by unit format, meaning the set of documents covers just the TLI21815 unit. This allows you to incorporate this one unit into many different qualifications, or mix and match electives to design different versions of a course specific to the needs of your learners. A unit by unit format is also ideal for funded training delivery where funding is paid on each unit of competency completed by the student. This means you can progress your students through the course a unit at a time and ensure regular funding payments. These RTO resources are currently heavily discounted as they are currently delivered as they were acquired from the RTO. The publisher is in the process of reviewing and cleaning up the materials for delivery to clients. Stage two of the project will involve fully validating and rectifying the tools to ensure currency and compliance with the latest training standards. Our initial analysis shows they are already more compliant and of a higher standard than the majority of commercial RTO training materials we have seen on the market. The materials in their current state may have some gaps or missing documents that reuqire some additional development and we make no claims about the compliance of these training resources. 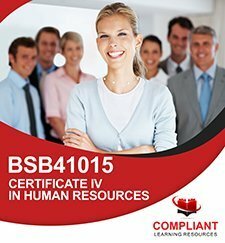 As with any training materials you purchase from ANY resource publisher, we recommend validating and rectifying the materials prior to use to make sure you are confident in the compliance of the RTO resources and take the time to align the materials with your Training and Assessment Strategy. All clients that order resources now at the current discounted rate will be updated with the new tools as they become available. Once development is complete, the price of these TLI21815 training resources package will be increased substantially to reflect the quality, compliance and scarcity of the finished product. We are still compiling samples of the TLI21815 RTO training materials at this time. To see samples of the training and assessment materials, simply fill out the form on this page and we’ll be happy to prioritise the creation of samples of these RTO materials for your review. This package of training materials includes units for the TLI21815 Certificate II in Logistics. We are cataloguing the RTO resources to identify which units are available for each qualification, so enquire now for the most current information on units we can supply for this course. We offer additional units from the TLI training package in this publishers catalogue and may be able to supply RTO materials from partner publishers to fulfil your needs, so please get in touch if you are looking for anything else from this range of educational resources. Resources from the TotalVET Training Resources catalogue are provided with a “One-Off” License Fee with Unlimited Students – meaning you pay one upfront fee and there are no ongoing per-student or annual license fees to use the training materials! This training resource was originally developed by Careers Australia and is now licensed and distributed by TotalVET Training Resources. TotalVET will maintain and develop this training resource. Please note that NO rectification assistance guarantee is supplied with this RTO training resource product. These materials are provided with the acknowledgement that additional work will likely be required of the RTO to prepare the course materials for training delivery. This TLI21815 training resource is supplied ‘as-is’ and does not include a rectification assistance guarantee. The RTO is responsible for making any modifications and contextualisation required of the RTO materials and ensuring compliance at audit. The publisher is happy to take any feedback on the training materials and incorporate them into future revisions of the training resource, but are not able to make immediate changes to RTO materials on request. 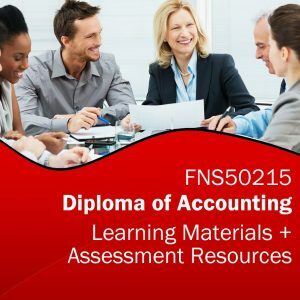 The RTO materials are typically supplied in editable format so the RTO is able to make any adjustments and modifications to the learning resources and assessment tools that they wish. This training resource was originally developed by Careers Australia and is now licensed and maintained by the publisher TotalVET Training Resources. The publisher, TotalVET, will provide licensing and support for this training resource. 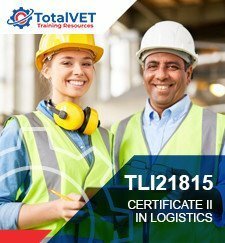 Compliant Learning Resources is proud to partner with TotalVET Training Resources to assist with the distribution of the TLI21815 training resources to Australian and International training institutes. Please check the licensing tab for full licensing conditions and terms and conditions of sale of this training resource.